I’ve been asked a lot of times about how I was held in the Philippine immigration for an hour before my flight to Hong Kong last April. When I saw the photos of the trip, I thought of reminiscing about it, hopefully for the last time. Haha. My flight was around 5am on a Saturday. Since it was so early and I was traveling alone from Manila, I decided not to sleep and just proceed to the airport after a late off from work. I wore jeans, flat shoes and black jacket. I didn’t put on makeup and having no sleep, I looked so tired. It was my first time going to Hong Kong and when I was asked what was my purpose of going there, the immigration officer scrutinized how I look, looked at me from head to toe then said, “Hay naku ne, andami daming mga Filipina na napapahamak sa Hong Kong ngayon, hindi mo ba nakita sa TV?” (*sigh* young lady, there are so many Filipina that have been in danger in Hong Kong, haven’t you seen them on TV?). Then, I answered, “oo nga po.” I know I look young but I answered as smart as I could so that she could determine that I know what I was doing. 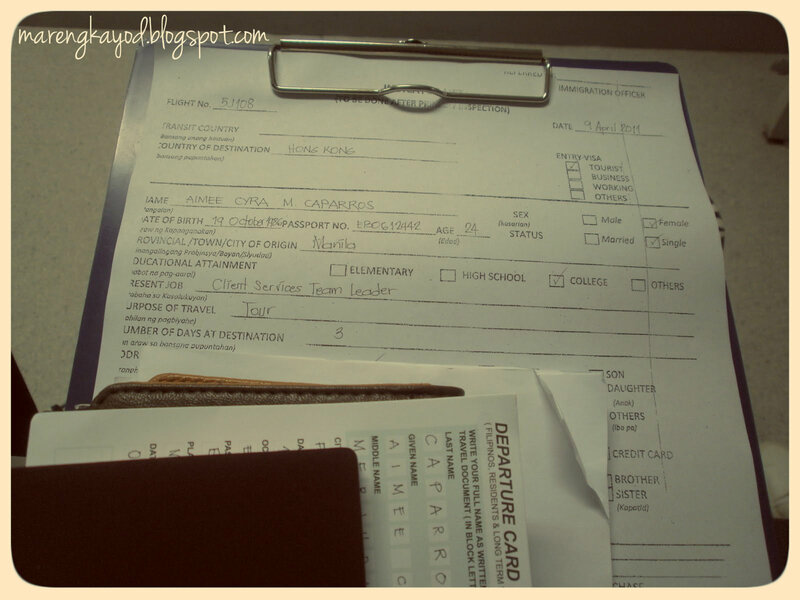 Then she asked me to wait and fill in some immigration form. At first, I was patiently waiting for the late immigration officer that was scheduled to question me and the rest of the 15 Filipinos who were going to HK and Singapore but when they started to curse each other saying “son of a b*tch, blah blah” at front of us, I felt bad of how our officers behave. Well, at first I thought, that it’s something that I have to accept but the way they talk to fellow Filipinos who go out of the country may it be for travel or work, I think is unacceptable. Given that fact that there are really a lot of Filipinos going outside the country illegally to find their luck, which we couldn’t avoid (I even have good friends and cousins who did that and looking at their motives, I think that that determination to get what you want is really good), I started thinking that maybe that’s why they are so rude to the fellow Filipinos but looking at the bigger picture, their attitude is really unacceptable. They’ll say “oist, punta ka don!” “bakit ka pupunta don?” with the rudest intonation I’ve ever heard in the whole Philippines. I waited for an hour, some waited for 8 hours to be interviewed. Then, when it was my turn, the officer said “your ID is unacceptable.” I told her that it was my real ID and if he thinks there’ll be problem with it, I should tell my employer to change the appearance of the ID. 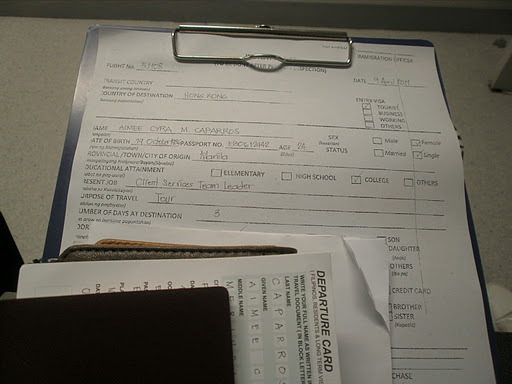 He said that he could think that I just asked someone from Quiapo to replicate it (Quiapo is a place in Manila where you can replicate all important papers and IDs) and I replied, “if that’s the case, what’s the need of having this interview if you can just base your judgement in a person’s ID? Couldn’t you figure out if the person is lying or not?” Then he reasoned out then let me go. When I went back to the cubicle to finally go (because I was the only passenger that my flight was waiting), the officer said, “If I were your sister, I won’t let you go to Hong Kong just to see your boyfriend. Can’t you be a true-blue Filipina? Be ashamed of yourself!” (I met Taku and HK before he goes to LA for a job assignment. He was from Japan, I came from Manila). Well, everyone is entitled of his/ her opinion but it’s never right to judge and force someone to believe that your opinion is the right one. 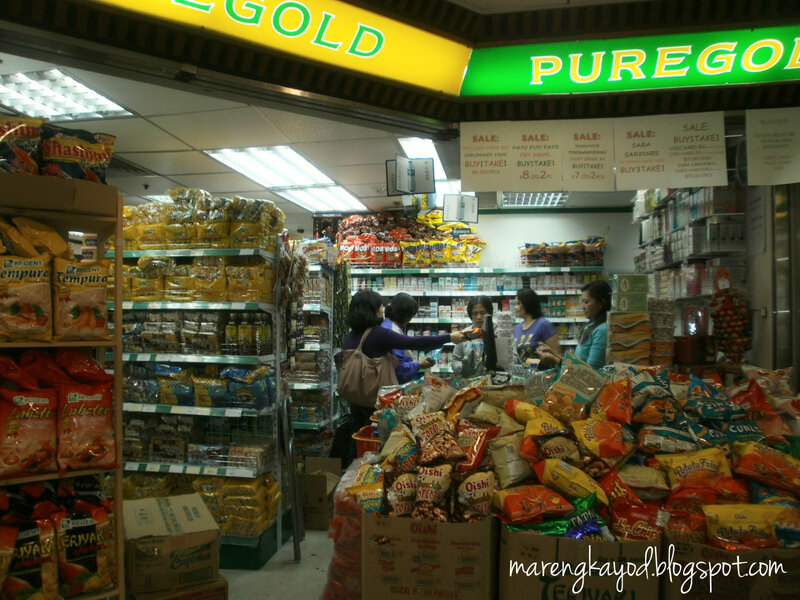 As I arrived alone in HK, I felt so at home having seen a lot of Filipina. They’ve talked with me from the airport, to the bus, showed me around, and helped me explore the city while trying out the trum, MTR and even by walking. I loved the smile and eagerness of storytelling in their faces upon seeing a fellow Filipino. I felt the Filipino hospitality and love for kababayan. I think it was one of the things that made my trip memorable. 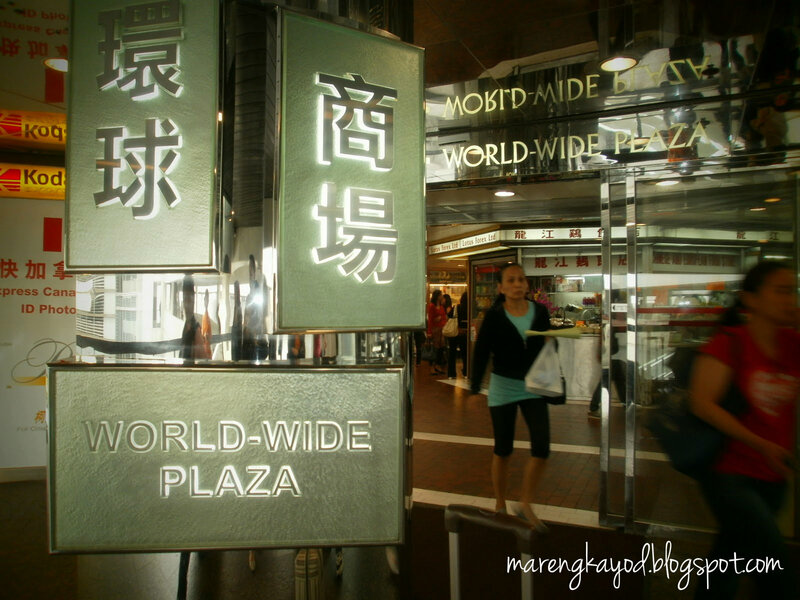 When they brought me to the World-Wide Plaza, everything was so familiar: from banks to grocery stores! trying not to miss home with these? 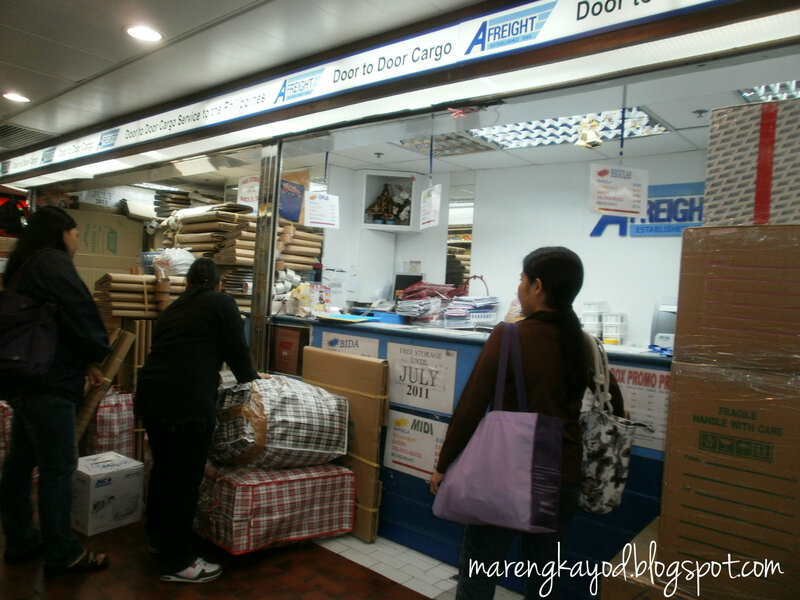 And upon seeing the balikbayan boxes and upon listening to their stories how they save and try not to spend their hard-earned money just for their salary to be enough for all the relatives that depend on them, I felt the hardships that each OFW has been going through for years. 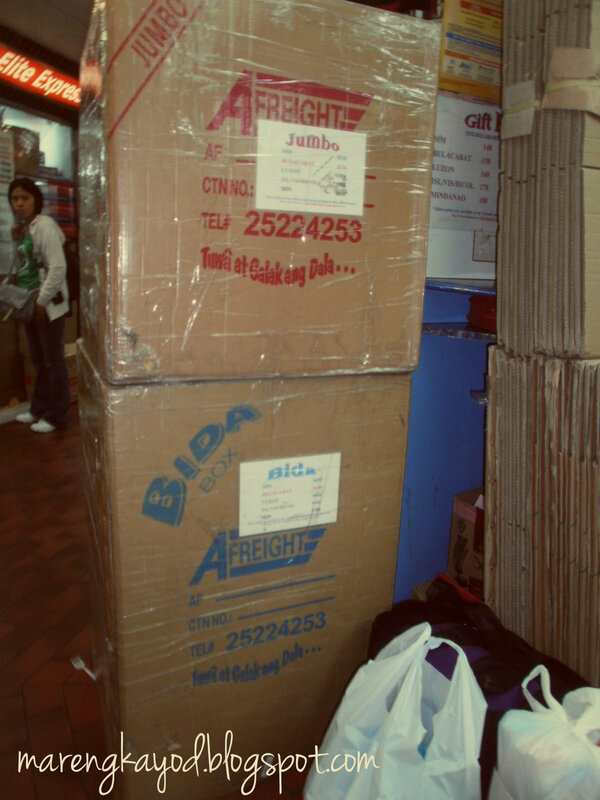 the place when you can send everything back home. Then I started asking myself, is the close family ties still an advantage or is it making Filipinos become dependent to their relatives who are brave enough to gamble? 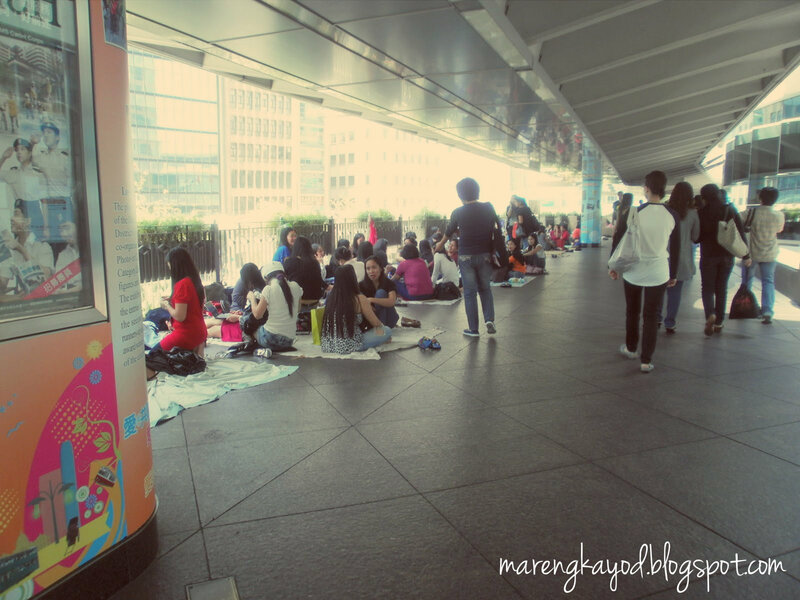 what I saw in Hong Kong on a Sunday afternoon- Filipino picnic! I wish our kababayans well and happy. these were my beautiful tour guides!